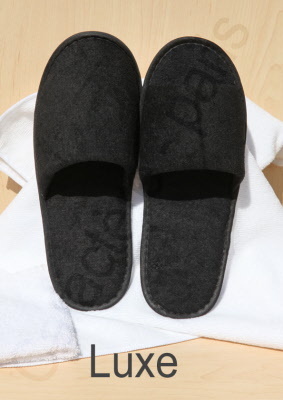 Welcome your valued guests with these specially-made slippers and improve your image with a touch of luxury, while keeping costs down. 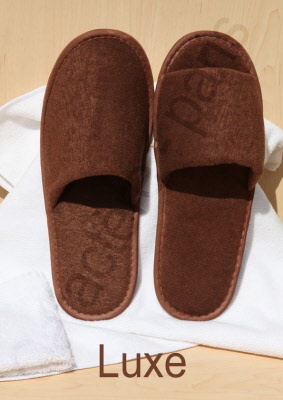 This Deluxe slipper comes in chocolate and is made of a soft, sponge-like material that's very comfotable. 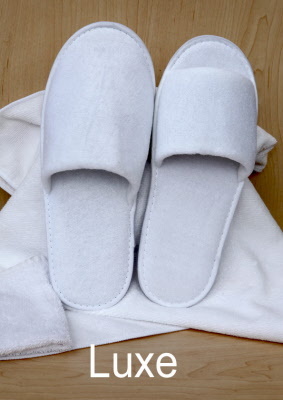 The soles are non-slippery, so the slipper can be used in the bath, the locker room and by the pool. Quantity: The slipper comes in packages of 20 pairs.